Thermaltake gears up to celebrate their upcoming 20th anniversary by unveiling the all-new Level 20 and Level 20 GT Full-Tower Chassis at COMPUTEX 2018. Thermaltake announced the Level 20 and Level 20 GT Full-Tower Chassis, around the company’s 20th year anniversary since their inception, at COMPUTEX 2018. 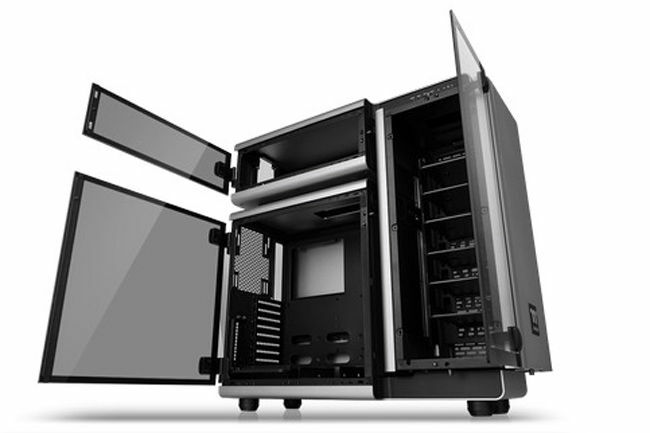 The Level 20 is the next generation successor to the Level 10 Extreme Gaming Chassis, which was released around ten years ago. The company claims to have made multiple significant breakthroughs in terms of design and technology in the ten years. The aluminium-made Level 20 features a gaming oriented design and utilises an aerodynamic trio chamber structure to ensure adequate ventilation and for space management optimisation. Tempered glass, with a thickness of 4mm, is used to make the three hinged swing-doors, which also provides durability and adequate viewing capabilities. The Level 20 comes preinstalled with a USB 3.1 Type-C port to provide transmission speeds of about 10GB/s. Additionally, the Level 20 sports three inbuilt Riing Plus 14 RGB Fans, two Lumi Plus LED strips and one Riing Plus Digital Controller that is being controlled by the TT RGB Plus Software which allows users to customise fan speeds and lighting effects. 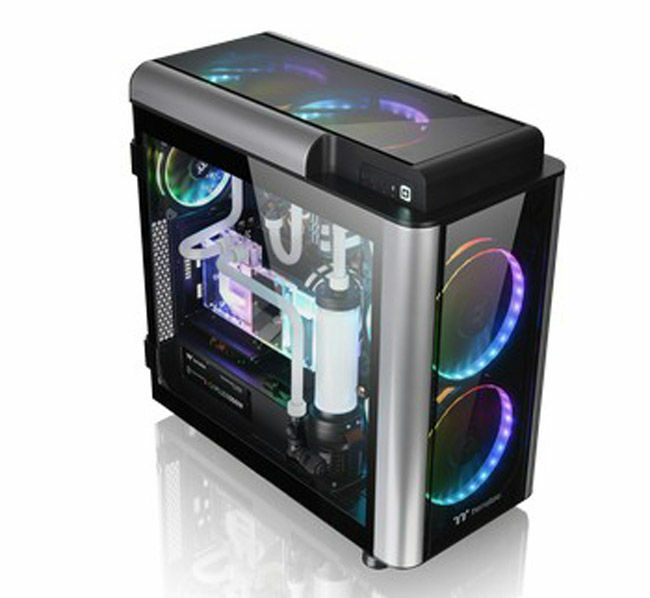 The Level 20 is also allegedly compatible with the latest PC hardware as well as AIO and DIY liquid cooling solutions. The Level 20 with its tempered glass hinged swing-doors. The Level 20 GT edition hosts four 5mm thick tempered glass panels with a swing door design. 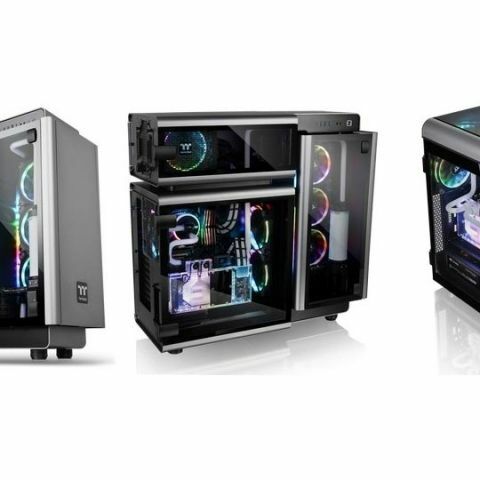 The company states that the larger form factor of the design allows users to efficiently display all the components of the liquid cooling system. The Level 20 GT comes equipped with one USB Type-C receptacle which is present on the top panel and vertical radiator view. According to Thermaltake, this offers an ideal place for radiator applications that are up to 420mm in length. 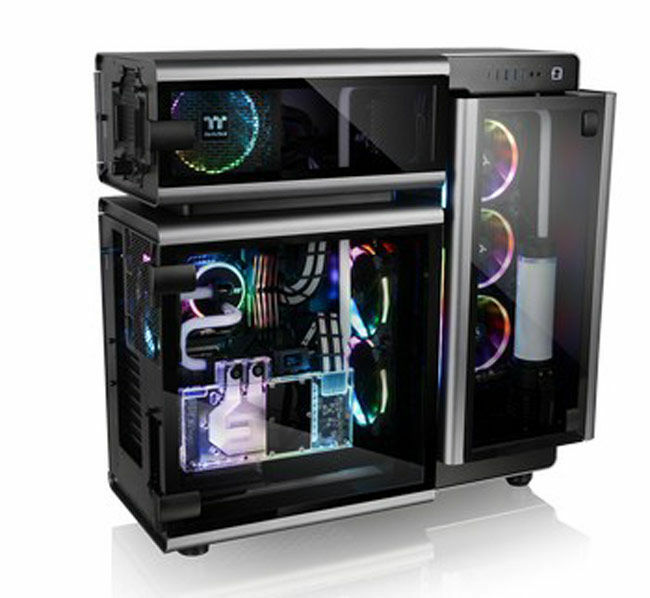 The Thermaltake Level 20 GT. The Level 20 GT supports motherboards up to the standard E-ATX and also houses a patented rotational PCI-E bracket design for dual/trio vertical GPU mount. It has two inbuilt 140mm Riing LED Blue fans and also includes the option for users to install up to two 200mm front or top fans to maximize airflow.